How To Grow Areca Palm..
Areca palm is a long lasting tropical houseplant that is grown for its graceful feather-like arching fronds composed of many thin yellow-green leaflets with an elegant look. It's relatively disease-free and topped a NASA study of the 10 best air purifying plants. This palm tree tree, with its long, graceful feather-shaped fronds, will add a tropical feel to your home and is especially well suited for screened patios and atriums. 1. Areca plant can be grown from a seed, cutting and saplings. 2. 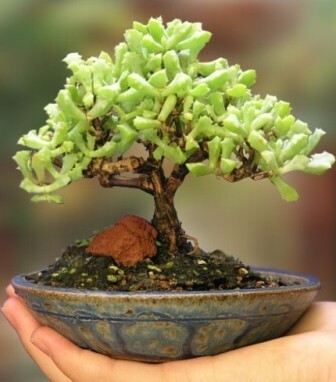 We recommend, you buy a plant with around 3 to 4 feet of height for effectiveness. 3. Expose the plant to good indirect sunlight, humidity and warm air for faster growth. 5. Let the soil drain and get dry befor next watering. 6. Apply good all purpose fertilizers solid or liquid. 7. When placed indoor, allow exposure to light once in a two months. 1. Best Plant at Cleaning the Air in our Homes or Offices. 2. Releases Plenty Amount of Moisture into the Air. 1. Areca Palms prefer high water levels so keep the soil moist at all times. 2. Be sure your pot allows for proper drainage. 3. High humidity is essential in keeping an Areca Palm in good health. 4. Wash down the fronds with soapy water to remove the pests. 1. Do not place under direct sunlight. 2. If overwatered the palm and there is no place for the water to drain, it is likely that the plant will die. 3. Avoid water with salt, chlorine, fluoride, prefer distilled water whenever possible.